The main focus of the workshop is to explain the objectives of the Urban Agenda Partnership on Jobs and Skills. During this session the current state of play of the Partnership will be presented as well as the results of the public consultation on the identified themes. The outcome of this debate and the best practices of the participants will be the first step leading to the preparation of the Action Plan. Participants will be asked to consider how they can contribute to the preparation, implementation and communication of the Action Plan. For more information about the Urban Agenda, please click here. For more information on the Jobs and Skills in the Local Economy Partnership, please click here. The city of Rotterdam has a long tradition and experience in social and economic renewal, reinventing its approaches on a regular basis and sharing the results with and learning from other cities in Europe. From this perspective the city is preparing itself for a major transformative change towards a Next Economy. Global trends including disruptive technological innovations, natural resource depletion and climate change bring great challenges to the regional economy. The Roadmap Next Economy includes an integrated assessment of the impact of relevant global trends, resulting in a long term strategy and highly adaptable action program for our regional economy that will stimulate the transition to the next economy, and create an attractive business environment for talents, companies and investors, new business and jobs. The RDM Campus is an excellent example where these developments converge. 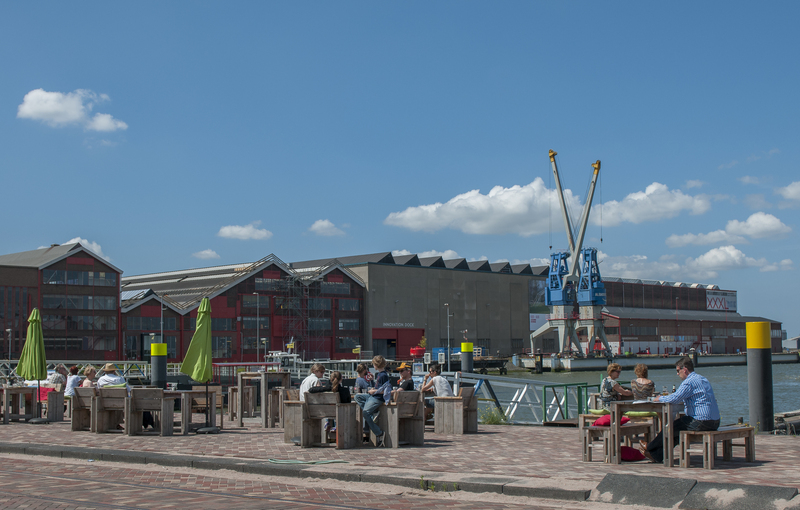 The facility is a former shipyard (the conference ship SS Rotterdam has been built here) and has been transformed into the hotspot for innovation in the port. The location houses over 40 innovative companies, a large scale technical state of the art education facility and research facilities. European Commission: DG REGIO, DG EMPL, DG GROW. Valorisation of R&D – commercializing the results of scientific research and development in cooperation between entrepreneurs and the scientific and research community. Business locations – aiming at (re)developing business parks and office locations to the needs of the companies and entrepreneurs both existing and new. Public services – providing the most common interface between people, entrepreneurs and the local administration and in the same time, these should support economic activities. Effective local government - in order to achieve effective local governance it is necessary to include economic activities and linking these to local needs and specificities including urban-rural linkages. Next Economy – enabling the transition of cities and regions with a strong industrial and often fossil fuel base into a next economy based on knowledge, sustainable energy, digital platforms and more localised and circular forms of production. Education and Skills - ensuring the labour force is skilled in 21st century job skills, aiming at a highly qualified workforce, experts and capacities. Since February 2017, the Partnership on Jobs and Skills has worked towards defining actions which aim to contribute to and influence European legislation, funding and knowledge exchange. The partnership is currently working to integrate suggested actions into its draft Action Plan with a completion horizon of January 2018. A background paper with the results of the public consultation will be available before the meeting. Please note that the background paper will be sent to participants of this workshop prior to the event.